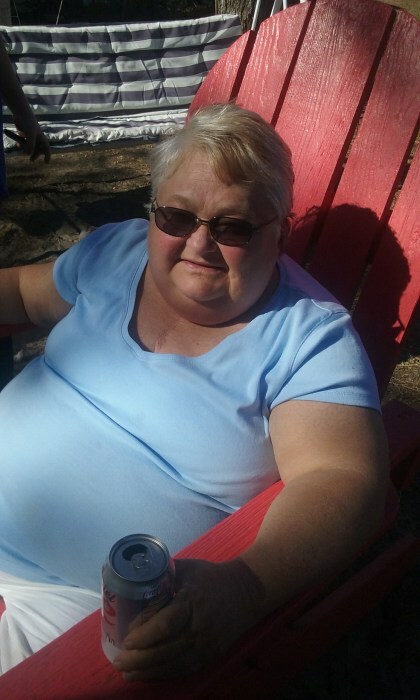 Mary Denise Fletcher, 59, passed away on Tuesday, January 29, 2019 at her residence. A memorial visitation will be held Saturday, February 2, 2019 from 2:00 to 3:00 p.m. at Albritton Funeral Directors. Ms. Fletcher was born October 2, 1959 to William Brewer of Tifton and the late Ellave Dixon Brewer. She was an excellent Mother and a hard worker. Ms. Fletcher loved to fish anytime and anywhere. She liked playing board games and cards with her children. She was a believer in God and enjoyed gospel music. Ms. Fletcher is survived by two daughters, Tasha Nettles of Tifton and Stacy Blount of Cordele; one son, James Nettles of Florida; grandchildren, Brittany Blount, Ricky Blount, Austin Blount, Justin Castell, Anthony Nettles, Sara Wiggins, and Katelyn Rayburn; great grandchild, Nathan Lopez; her sister, Daphne Kegebein; three brothers, Gary Brewer, Glenn Thornton and William Brewer. Also, survived by her caregiver and roommate, Wanda Hadden.